This project for Extra Space Storage is a four level, 120,000 sq. 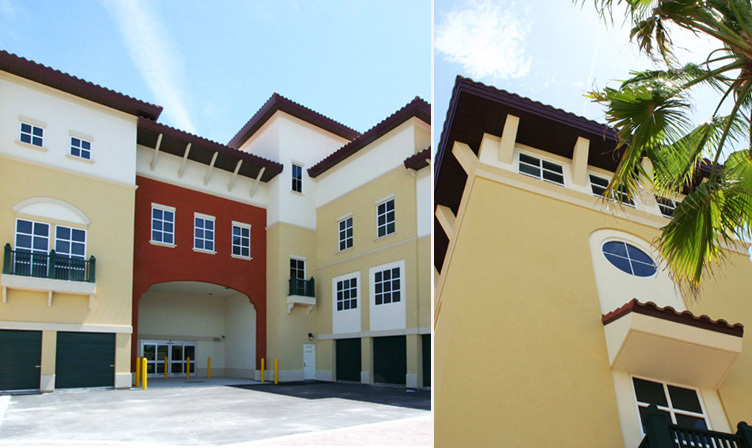 ft., climate controlled self-storage facility with 1,600 sq. ft. of residential area. The Estero Design Review Commitee approved the design for integrating this storage facility with the existing Coconut Point Shopping Center. It received the 2009 Mini-Storage Messenger Facility of the Year Honorable Mention. The project was featured in the Wall Street Journal article “Storage Sector Primps for Uptown Approval” describing the latest trends in upscale storage facilities.